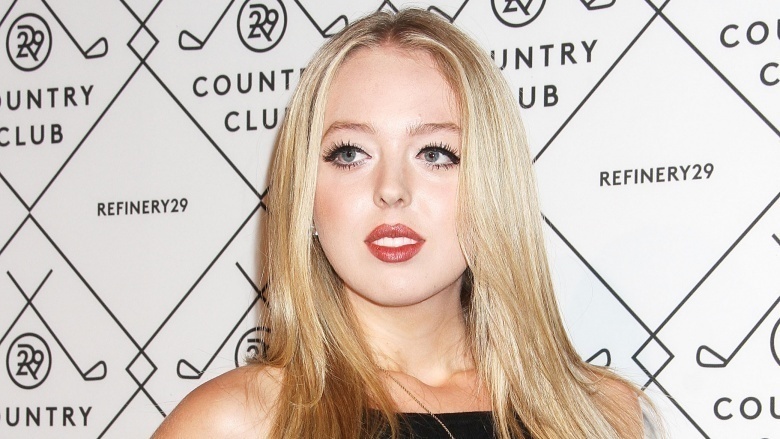 Tiffany Trump may be the fourth child of loved and loathed President Donald J. Trump and his second wife, actress Marla Maples, but she's forging an identity all her own. No, she's not helping to run her dad's multi-billion dollar company, like her older half-brothers, Donald Trump Jr. and Eric Trump, are doing while dad handles the day-to-day duties as the leader of the free world. And no, she didn't tag along to the White House, like her older half-sister, Ivanka Trump, and younger half-brother, Barron Trump. Instead, Tiffany finished college, started law school, and has been generally living exactly the kind of glamorous life you'd expect the child of one of the world's wealthiest families to be living. But for all of the instant fame that comes with just having the last name Trump, Tiffany has managed to stay relatively out of the spotlight — until now. 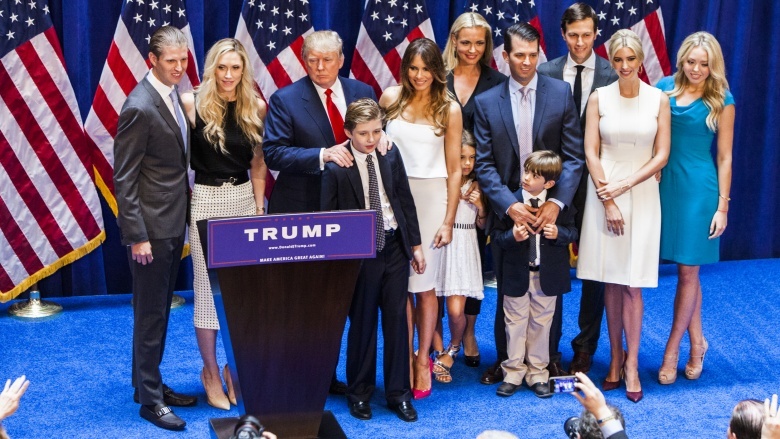 Check out these interesting facts about the lesser known member of the Trump family. Tiffany Trump, born Oct. 13, 1993, is named after the famed New York City jewelry store Tiffany & Co., according to Donald Trump's ex-wife, Ivana Trump. How would she know? Good question. Ivana spoke with ABC News about it when she also dropped the detail that Donald actually wanted to give the name to his first daughter, Ivanka, until Ivana nixed that notion. What was the fascination with Tiffany & Co.? Well, one of Donald's biggest accomplishments was the construction of Trump Tower, which happens to be located right next to the famed boutique at the corner of 5th Avenue and 57th Street. In order to build his eponymous skyscraper, Donald had to secure the "air rights" above Tiffany & Co., which he proudly boasted to The Orlando Sentinel that he accomplished with a handshake deal. So, why was the name Tiffany so near and dear to Donald Trump? No, it wasn't those tantalizing blue boxes, but rather, the idea that is child could become a living, breathing reminder of one of his greatest deals. 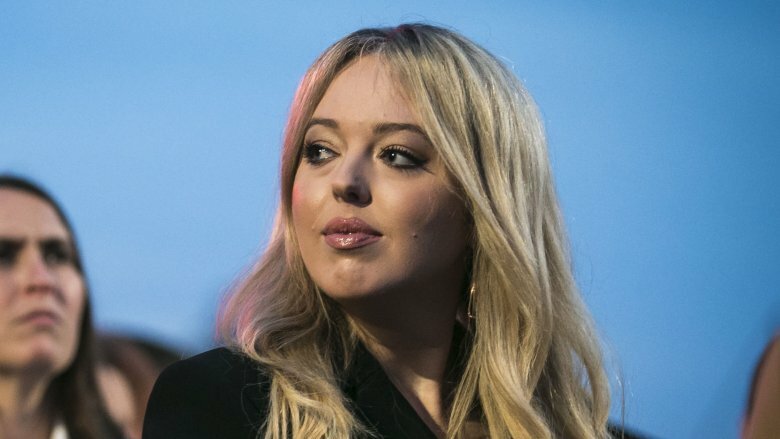 Tiffany Trump is Donald's only child with his second wife, Marla Maples, and according to an Oprah Winfrey Show interview, she's a mommy's girl. Raised in California, Tiffany said, "My mom and I have always been very close since she did raise me as like a single mom." She added, "My friends and everybody I know are like, 'Wow, you guys really have a really good relationship.' She's with me a lot of the time, so people find that kind of shocking." In fact, the mother-daughter BFFs even vacation together, like their sun-soaked trip to Italy in July 2017. According to People, Marla posted envy-inducing shots to Instagram of the pair chilling on a yacht, jet skiing, and taking in a gorgeous sunset during the trip. With that kind of fabulous life to share and enjoy, is it any wonder these two get along so well? Despite growing up in the famous neighborhood of Calabasas, Calif. — with a famous last name, no less — Tiffany Trump managed to stay out of the spotlight for much of her childhood, all thanks to her mother. "She moved us out of New York to get out of the spotlight and let me grow up and find my own identity versus being in the shadow of a name or growing up very young with all that pressure," she told People. "So, she wanted me to have a chance to have a normal childhood. As normal as possible. I think that she did well in that." Tiffany's mother, Marla Maples, told People in a separate piece that she even chose to remain single while raising Tiffany because she "didn't want anything to take away from [her] relationship with Tiffany." Marla also claims that she took Tiffany on trips to the Big Apple to visit with her father, although his time was always limited. "I would bring her into New York a couple times a year and let her go see her dad in the office and let her go have dinner with him and Melania," Marla said, adding, "I wanted to create some consistency where she could see him." Tiffany Trump was a student at her father's alma mater, the University of Pennsylvania, where she majored in sociology and urban studies. "She's got all A's at Penn, so we're proud of her," Donald Trump told People in 2014. According to Vanity Fair, Tiffany also joined Penn's Kappa Alpha Theta chapter, after allegedly being rejected by Tabard Society, an elite, all-female, non-Greek social society, over fear that "the presence of a Trump might scare off the kind of presentable and connected young women that Tabard has typically attracted." (We should note here that a "person close to Tiffany" refuted this allegation.) Vanity Fair also claimed that during her time at the Ivy League school, Tiffany lived on a budget of "no more than $500 a month," which her dad provided. In May 2016, Tiffany graduated with both her mom, dad, older half-sister Ivanka, and younger half-brother Barron on hand to celebrate. She even commemorated the day with a montage of family photos (above) that she posted to Instagram with the caption, "Graduation! Congrats to the class of 2016!" Before Tiffany Trump shifted her focus toward college, she tried her hand at pop stardom. At just 17 years old in 2011, she launched her debut single, "Like a Bird," featuring Sprite and Logic, which HuffPost later reviewed by saying "there's so much Auto-Tune, we honestly can't tell who is singing what." Other reviews were less kind, like this one from DJ Booth, who called the song "absolutely horrible," or this one from news.com.au, who suggested the song "makes the music of Paris Hilton or Rebecca Black sound like Adele." Oof. The track didn't take off and became Tiffany's first and only release. However, around the time she recorded that song, she told the Oprah Winfrey Show that it wasn't a serious pursuit anyway. "I love music. It's always been very dear to me," Tiffany said of her "big passion," adding, "It's more of a hobby right now, but we'll see in a couple of years if I want to take it to the next level as a professional." 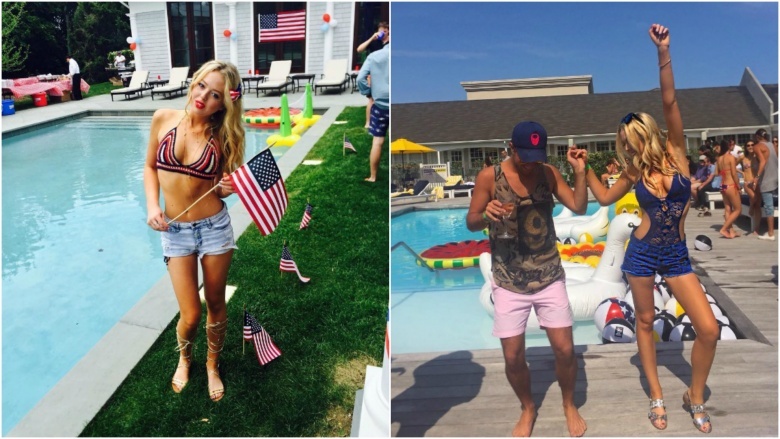 Tiffany Trump has been grouped in with a social media Brat Pack commonly referred to as the "Rich Kids of Instagram." According to DuJour, "The photos they share on social media tell the story of an enviable set of lives intertwined, sipping rosé in infinity pools by day, sipping rosé on balconies overlooking the Marais by night — a picture-perfect posse of wealthy progeny." Jet-setting members reportedly include Kyra Kennedy, daughter of Robert F. Kennedy, Jr; Andrew Warren, grandson of fashion designer David Warren; Gaia Matisse, the great-great-granddaughter of iconic French painter Henri Matisse, and more. Want just a small taste of what this elite social media clique regularly shares? Here's Kyra Kennedy with her room service order that looks like the tip for it probably cost more than a night's stay at a Holiday Inn. Compared to the rest of the squad, Tiffany's social media image had actually seemed the most approachable and down-to-earth, which is saying a lot considering she still regularly posts amazing shots from locales that would likely be once-in-a-lifetime trips for us normal folk. As her father campaigned for president, Tiffany Trump boldly braved the political heat. Though her father was skewered over comments he made about women, Tiffany painted a different portrait. Her dad has "the utmost faith that we [women] can accomplish whatever we set our minds to, just as well as men, if not better," she told CNN's Anderson Cooper in April 2016, adding, "I just truly feel that my father is the best father, the best husband he could be." 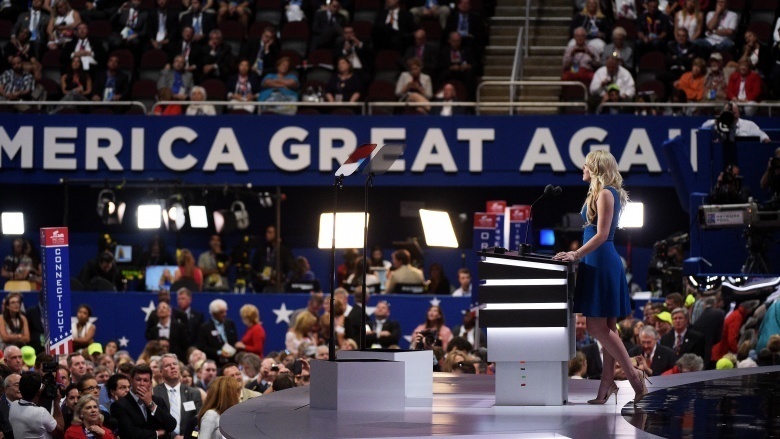 Tiffany really put her loyalty on the line when she agreed to speak on behalf of her father at the 2016 Republican National Convention after he secured the party's nomination for president. In her remarks, Tiffany even noted how nervous she was to be addressing the "more than ten million people watching," but she soldiered on to champion her dad as "a man with natural charm and no facade, who is "so friendly, so considerate, so funny, and so real." She concluded her endorsement by saying, "I have admired my father all of my life, and I love him with all my heart. God bless you, and thank you." Tiffany walked in her first New York Fashion Week show in February 2016. According to People, she graced the catwalk for designer Andrew Warren (a member of the aforementioned "Insta-famous" club) in a stunning navy blue ensemble. Tiffany also starred in editorials and various advertisements for his Just Drew line and is known for sporting Warren's designs during nights out on the town. But like her brief foray into the music world, modeling is more of a hobby than a career track. In fact, Tiffany told Page Six, "I've never modeled before, but Andrew has been one of my best friends since I was 3, so I just came out here to support him." As for why Warren chose Tiffany for that particular show? "The inspiration for the collection was 'New York City It Girl' based on my friends and girls I see at parties," Andrew told Page Six. It's nice to have friends in highly fashionable places, huh? I-vanka big sis like her! 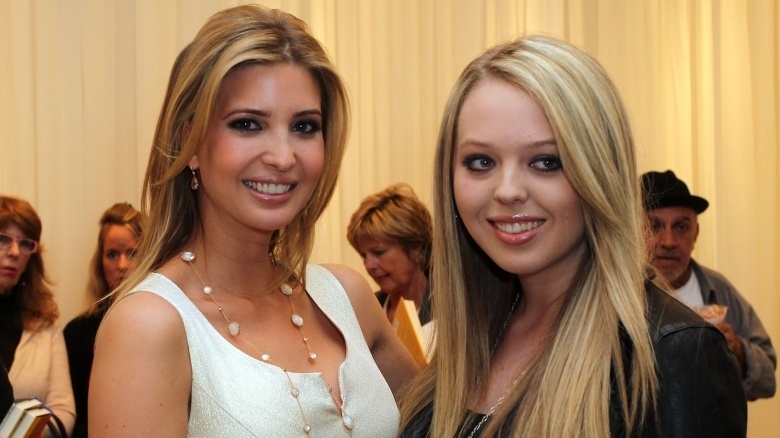 Tiffany Trump and half-sister, Ivanka Trump, are reportedly very close. "We would see each other on all of the holidays and talk to each other frequently," Ivanka told People. "She's my little sister! I've been close to Tiffany her whole life, and I really love her." Their relationship grew even tighter when Tiffany graduated from college and relocated to the Big Apple. "It's wonderful because she's right here in New York," Ivanka said. "She'll come with [me and husband Jared Kushner to our country house] on weekends sometimes, and she's always with my kids. She's a really good person." According to Vanity Fair, Ivanka essentially taught Tiffany how to be famous, instructing her on important things such as "this is the color that looks best on camera" and "make sure when you sit down you cross your legs." Ivanka is also said to have scored Tiffany a Vogue internship as well as a Donald-funded credit card back in her undergrad days. Tiffany hasn't been as forthcoming about her relationship with her older sister in the press. However, she did reveal to Oprah Winfrey that she was a bridesmaid in Ivanka's wedding, and Tiffany sent shout-outs Ivanka's way for both the release of her book and her birthday in October 2018. Tiffany espoused her interest in law school when speaking with People in July 2016, but she also said, "I'm really interested in fashion and technology and kind of just want to be at a place that's innovative and new, where I can actually implement change and have a voice." 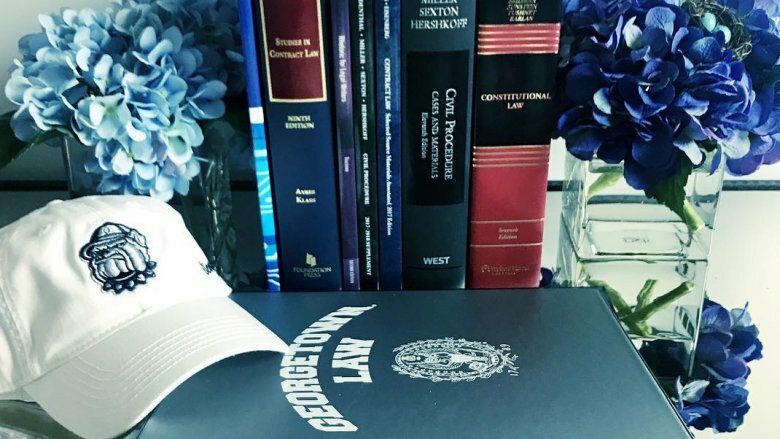 By August 2017, Tiffany was enrolled at Georgetown Law School in Washington, D.C. She announced the achievement to the world on Instagram with a tastefully arranged photo (above) of some course books, flowers, and a Hoyas hat, which would indicate that her desired intersection of fashion, technology, and law has already begun! Jokes aside, as for how it's going for Tiffany at school, The Washington Post reported that in spite of the rest of the campus' rabid fascination with her, she's managed to keep a relatively low profile. In fact, the biggest news that's come out of Tiffany's first year is that she worked as a "research assistant" over the summer of 2018 for Shon Hopwood, an infamous professor who became "a media darling" after "he became a jailhouse lawyer after serving time for bank robbery." By the way, Hopwood also has close ties to the Trump administration. Just because her last name is Trump doesn't mean Tiffany's life is always first-class. In fact, according to a friend, you might just find her in economy on your next flight. "Unless she's with her dad, she's happy to fly coach," the friend told The New York Times. "When we flew together from Philly, we were in the middle seats at the back of the plane." That pal also dished that the dress Tiffany wore for her speech at the Republican National Convention had been purchased the day before off the sales rack at Bloomingdale's. But don't go thinking Tiffany is slumming it on the regular. Her go-to designer — which, let's be honest, is a thing that only the opulently wealthy have — is Taoray Wang, whose off the rack pieces, like a version of the one Tiffany wore to the inauguration, can cost anywhere from "$2,500 to $3,700," according to WWD. Yeah. That kind of scratch can buy a whole mess of coach tickets, and you could even spring for those fancy "extra legroom" seats! Is she the 'Jan Brady' of the Trump kids? 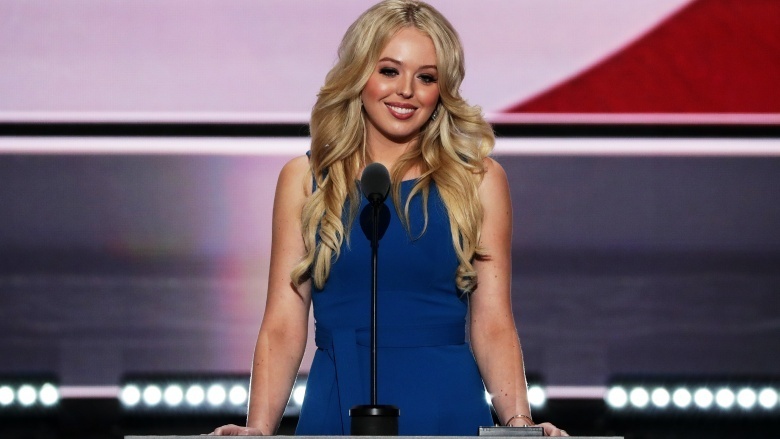 Though her profile increased dramatically as her father's presidential campaign intensified, Tiffany Trump has often been dubbed by the press as an outsider, an afterthought, and the "Jan Brady" of the Trump kids. According to an interview with Tiffany's mom in The New York Times, the recent college grad would "like to get to know her father better and spend time with him like his other children did: by going to his office and watching him work." That office now happens to be an oval one, and early reports show no sign of Tiffany breaking into the inner circle. In fact, she is the only adult offspring of Donald who was not named to his White House transition team. "Daughter Ivanka and sons Eric and Donald Jr. and son-in-law Jared Kushner accounted for a fourth of the 16-member executive committee," reported Fortune. Though Tiffany has always been nothing short of effusive toward her dad, he hasn't always returned the favor, even if it was an inadvertent slight. We're talking, of course, about Donald's infamous gaffe while on Fox and Friends (via the New York Daily News) when he said, "I'm very proud of my children. I mean, I'm just looking at them right now, as an example for your show, but I'm very proud, because Don and Eric and Ivanka and — you know, to a lesser extent 'cause she just got out of school, out of college — but, uh, Tiffany, who has also been so terrific." "To a lesser extent," huh? Yikes. Did Don Jr. and Ivanka make a play for her inheritance? Though there seems to be nothing but love between the siblings these days, that wasn't always the case. Donald Trump acknowledged a tiff between Tiffany, Don Jr., and Ivanka way back in 2005 during an interview with Howard Stern, according to show transcripts obtained by Newsweek. The revelation came after Donald shared a story about "a friend who is also like a very rich guy" who told him that "his children hate the new children coming along and everything else." Donald agreed, and said, "Yeah, because every time you have a child, it's 20 percent less to the people [Inaudible]." The shock jock prodded for details, eventually getting Donald to agree that Don Jr. and Ivanka wanted to "bump off a child." The conversation came back to the subject of inheritance, when Donald revealed that both the now scandalized and shuttered Trump University and bottled water brand, Trump Ice, would be handed down to his children. Of course, Donald has done many, many interviews with the self-proclaimed King of all Media over the years, which have included salacious details as well as clearly humorous embellishments about the real estate mogul's love life, family dynamics, and vast wealth. 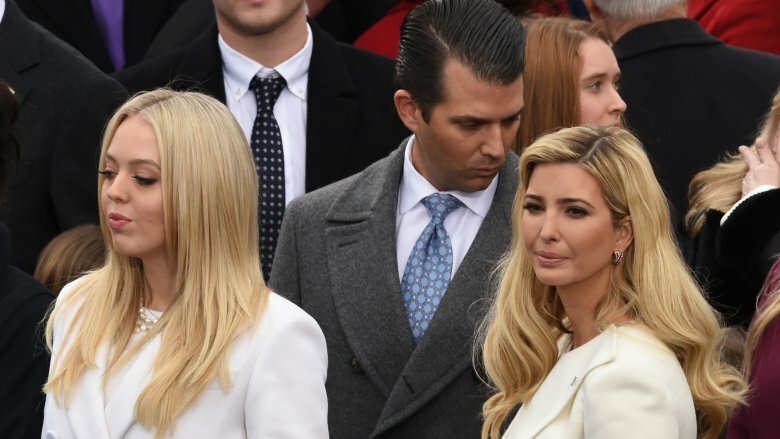 Hopefully, the real truth of the inheritance situation is that Tiffany, Don Jr., Ivanka, and the rest of Donald's progeny won't have any problem splitting up his supposed multi-billion dollar fortune after he's gone. 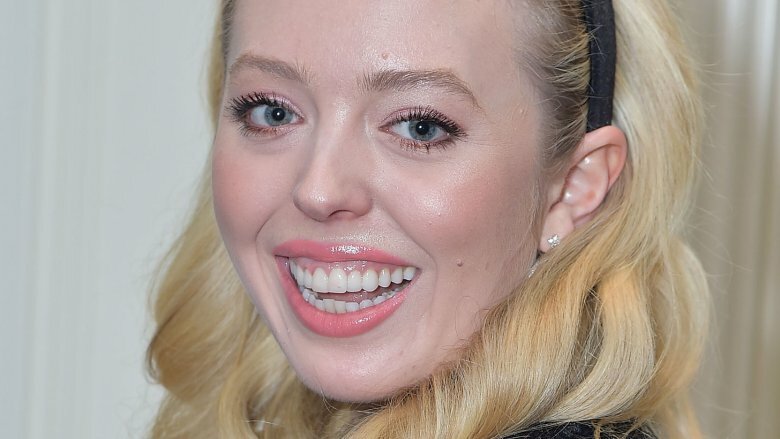 Over the past few years, there have been a few high-profile instances of Tiffany Trump's famous friends going to bat for her on social media. 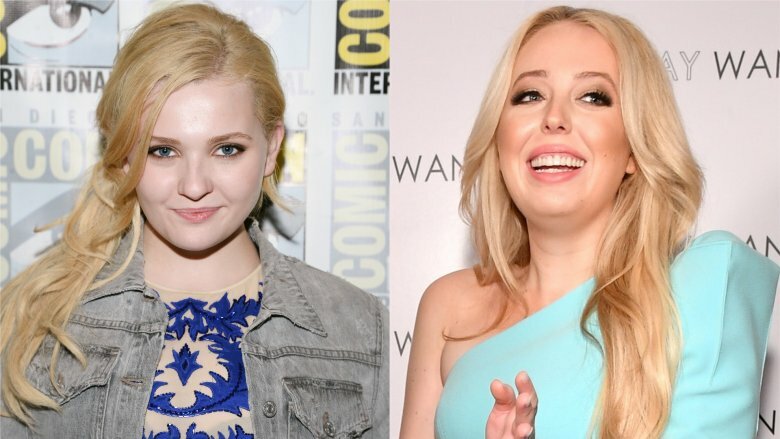 As a frequent target of comment thread hate, Tiffany seems to rise above it all, but it's another story entirely with her friends, such as actress Abigail Breslin. That's right, the pint-sized star of Little Miss Sunshine is chummy with Tiffany, and after she posted a photo of herself chilling with the president's daughter, the haters pounced. But Abigail swung right back, posting a note to her Instagram that said, in part: "It is honestly disgusting of people to be so cruel about tiff [sic] who is a wonderful and kind person. If you're judging me for hanging out with someone I've known for years at our friends bday party, you need to reevaluate your life." Boom. Tiffany's aforementioned fashion designer BFF, Andrew Warren, mounted a similar defense of Tiffany after he got fed up seeing her facing mountains of hate and even death threats online. "Never once has she personally done anything to offend anyone, and she is one of the nicest, most genuine people that I know," Warren wrote in a lengthy Instagram post. He also instructed anyone who was "going to continue to hate on her personally" to unfollow or remove him. 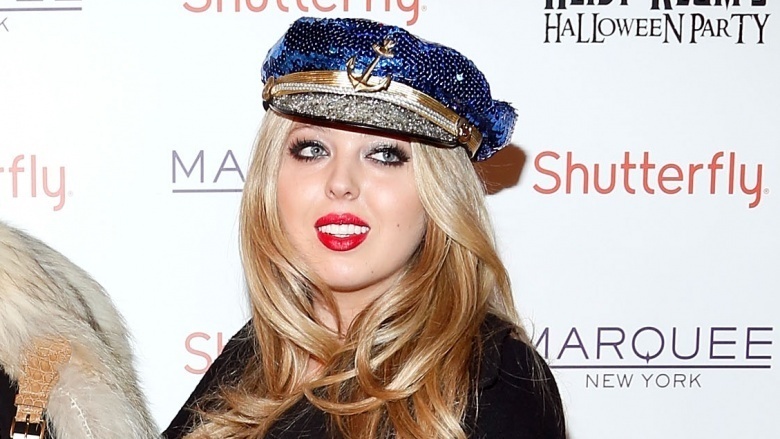 Tiffany Trump's noted relationship with Ross Mechanic, her college sweetheart and the progeny of a wealthy Manhattan real estate lawyer, ended sometime around the end of 2017. But it didn't take her long to bounce back — and arguably to trade up. According to Page Six, by the summer of 2018, Trump linked up with Michael Boulos, the "wealthy scion" of a "well-connected family [that] owns a multibillion-dollar conglomerate that trades in vehicles, equipment, retail and construction." 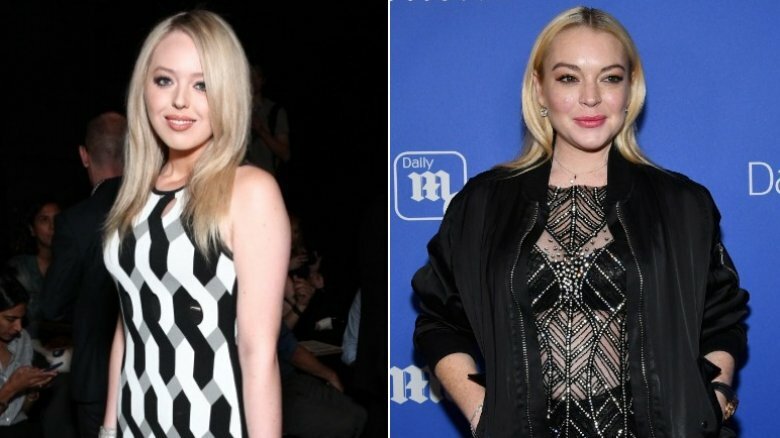 Tiffany Trump's connection to the former Disney starlet first became broadly known when Lindsay Lohan referred to her in a June 2018 profile in The New York Times as "a really sweet girl. Nice person." She also spoke about plans to hang out together in Greece. 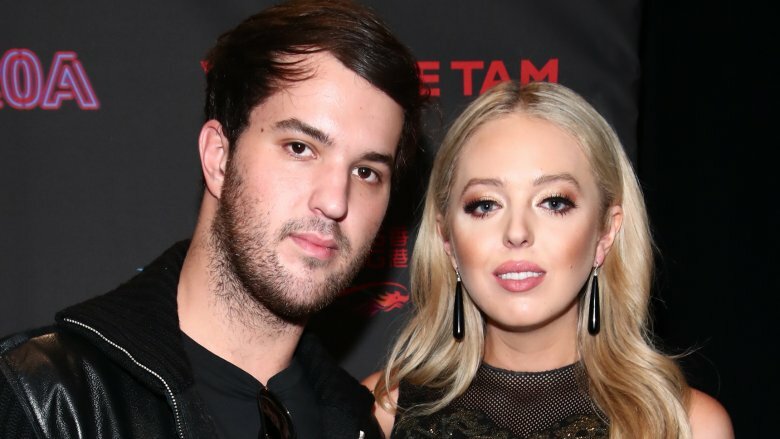 Though the predictable tabloid frenzy ensued at the thought of the president's daughter mixing it up abroad with a Hollywood wild child, The Washington Post (who amazingly dubbed the pair TiffLo) reported that "nothing really salacious happened." In fact, Lohan reportedly policed not only her own social media accounts, but also those of others among the wealthy crew who "hung out on a yacht … and later ate dinner with the Mykonos Mayor Konstantinos Koukas." "Why would you post this?" Lohan supposedly scolded her and Tiffany's mutual friend, fashion designer Andrew Warren, in a since-deleted comment. Warren apparently had the audacity to share a snap of the aforementioned yacht outing on his Instagram. Though Lohan seems to have skirted her former party girl image in recent years, we have to wonder if Tiffany's more sophisticated approach to living the high life has had any kind of impact. In November 2018, two wildfires wreaked havoc and historic destruction in both northern and southern California. According to CBS, the Woolsey Fire, which raged in the Los Angeles area, consumed nearly 100,000 acres, destroyed just under 1,500 "structures," and claimed the lives of three people. The Camp Fire, which spread north of Sacramento, became the deadliest blaze in California history, killing 85 people, according to still-developing reports from early December 2018. Though Tiffany Trump wasn't personally affected by either disaster, she empathized with those that were via an Instagram post in November 2018. "My heart goes out to my friends and to all that have been affected and lost their homes due to these wildfires," she wrote, noting that while growing up in Calabasas, Calif., she "had to evacuate three times from [her] home," which was thankfully spared. She ended the long message by thanking the "firefighters, first responders and volunteers" who battled the blazes, and asking for prayers for them.